Perhaps the oldest call ever used is the wingbone. It has been argued that this call was originally fashioned by some Native Americans a few millennia ago. Obviously it is hard to document these things, but there is some evidence that it was used many hundreds of years before any of the other calls we are discussing in this series. The wingbone call is made using the three bones of the wing of a turkey. Similar to the bones in the arm of a human there are three successfully smaller bones. The wing bones are trimmed, reamed and fitted into one another from biggest to smallest. Once fitted they are fastened permanently to prevent separation and to keep air from leaking out when using. Crude versions are just as described. Artisans are capable of taking these same bones and making fine works of art that are both beautiful and functional. The smallest of these bones is the mouth piece and is placed into the mouth where a kissing motion is used to create the sound of a turkey. It is very beneficial to have a stop where the lips rest when using the call to get some consistency of the sound. This call takes a lot of practice to master, many turkey hunters simply give up when trying to use this call because of its difficulty. I would argue, that while the learning curve is steep. Once you figure it out, it is an indispensable tool to your calling arsenal. 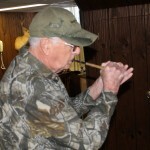 Many decades ago, Tom Turpin and a few others began making “artificial wing bone” calls also known as trumpet calls. A Tom Turpin call is very collectible today and still one of the best sounding of these types of calls. 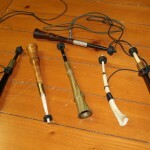 Trumpet calls use the exact same method but are made with different materials than bones. The materials of these trumpet calls are as varied as the imagination of the maker. 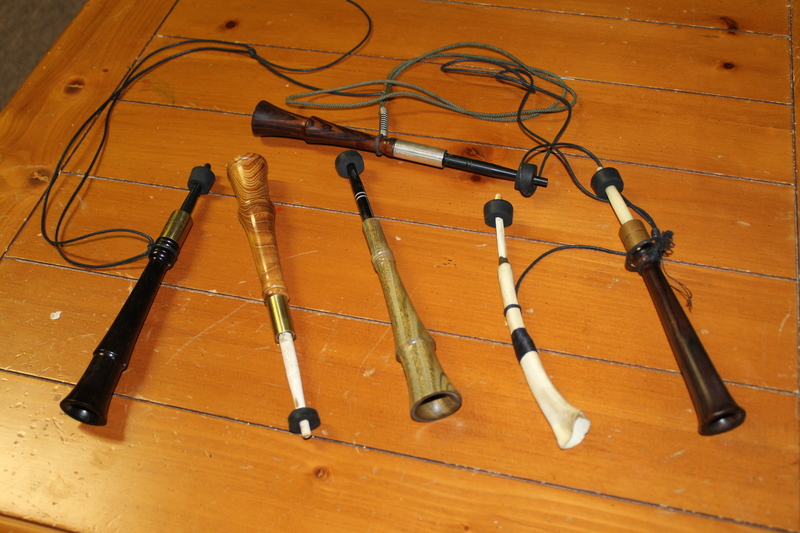 Exotic woods, animal horns, reeds, cane, carbon, area all used for the trumpet end of the call. The mouthpiece is somewhat different. Usually from a type of carbon or other synthetic material, it is fitted into the bell portion of the call for a tight fit. These calls also use the same ‘kissing’ action on the mouth piece to control the calls being used. Trumpet calls can be very loud of so soft you can barely hear it yourself. This is one of the greatest assets of the call. By cupping your hands over the bell end of the trumpet or wingbone, you can control the volume. 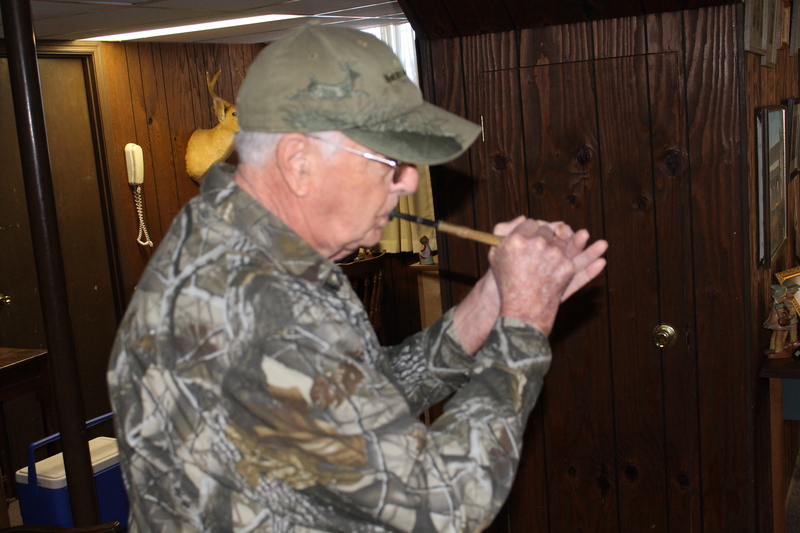 Charles Hudson of Travelers Rest, SC has been making and using trumpet calls for over fifty years. He says that one of the biggest mistakes beginning users make is ‘trying to control the volume with your mouth instead of your hands’. He follows this up by adding, “keep the same action with your mouth, the more you cover the bell end the softer the call. Open your hands and it gets louder, close it and it is softer.” Hudson is a big believer in starting calls soft. The trumpet and wingbone calls allow the hunter to be very subtle. Hunters who have not given this call a try need to invest in the call and invest some time learning how to master the wingbone and trumpet call. They can be the one thing to make a difference in your vest.